Pasted below is a very exciting announcement that was first posted to the St. Baldrick's website on Friday, Ty's birthday. Coupled with our recent donation to fund a fellowship in support of the Children's Brain Tumor Project at Weill Cornell, this second alliance marks the beginning of many more research investments and similar announcements to come. We are committed to funding the most innovative research, specifically geared toward the deadliest childhood cancers (including brain/spinal tumors, sarcomas and neuroblastoma). Since 2005, St. Baldrick’s has awarded $103 million in grants – more than $25 million in 2012 alone. We now have the opportunity to co-fund grants with this terrific organization, minimizing our administrative costs and speeding up the selection process so we can get these much needed funds into the hands of the researchers without delay. They have one of the most sophisticated Scientific Advisory Committees among all childhood cancer foundations, and as their partner the TLC Foundation will be reviewing grants supported by the leading experts in the childhood cancer community. We will be able to leverage the St. Baldrick's esteemed funding priorities so that every dollar makes the greatest impact possible. This is what has always mattered most to Lou and I. Fall in New York is so incredibly perfect. The trees are enchanting, the crisp breeze fills my lungs with purity and the sun continues to warm my face. Days like this prove to me that Ty is all around. Every falling leaf is a poetic reminder of our love and loss. Ty was born on a beautiful fall day. He died on a beautiful fall afternoon, too. This weather has always been my absolute favorite, but of course now it leaves me ambushed with the sad, gut-wrenching memories of one year ago. Thankfully, some of those memories of Ty’s last days are incredibly beautiful and they keep me putting one foot in front of the other. 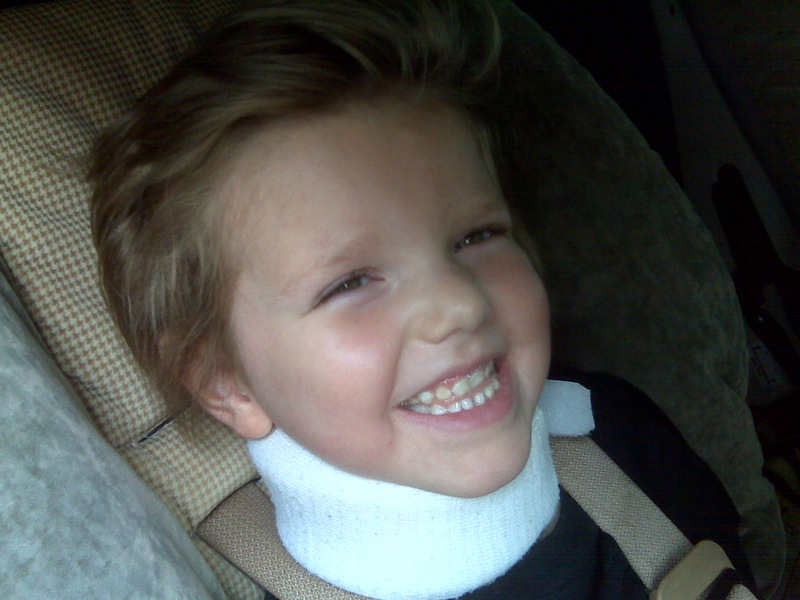 Whenever I recall Ty’s unbreakable “smile of the day,” I continue to be awestruck and inspired. 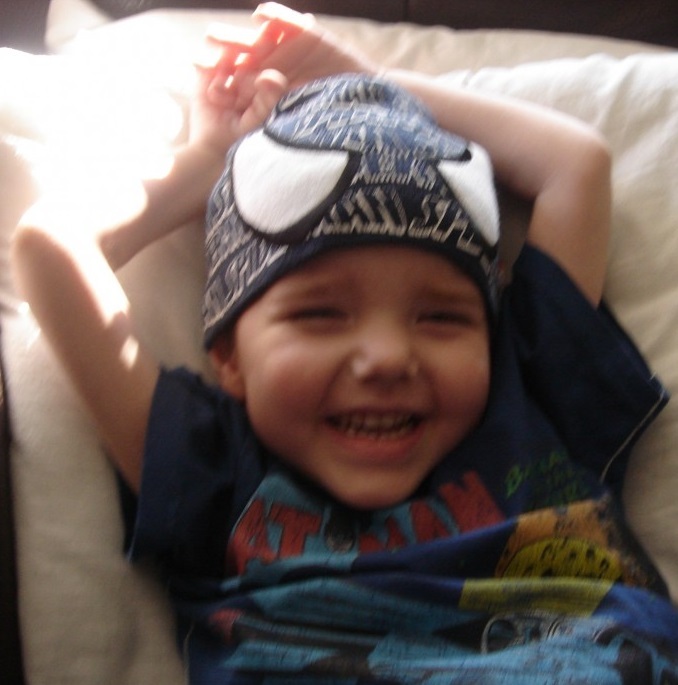 When Ty was first diagnosed with cancer, he was 2 years, 10 months old. We adopted phrases around “fighting” and nicknamed him “the little fighter.” This name still rings true to Ty. He continues to inspire others to fight on, just as he did. Back then we dreamed of triumph against the evil monster that grew inside him for no good reason at all. We thought we would win. Today, my husband and I still dream of triumph. A very unfair and different kind of triumph, but nonetheless, we still dream big. We want to do something to help change this. But we can’t do it alone. And we aren’t. Today is Ty’s sixth birthday. He won’t blow out the candles on his birthday cake. He won’t open the presents we carefully wrapped for him. But today, we are honoring Ty by keeping the promise we made to him and to all the families who unwillingly share in our suffering. There are many organizations dedicated to raising awareness for children with cancer, but few with the scope and strength of the St. Baldrick’s Foundation. Because we can trust St. Baldrick’s scientific review process, we know that we are funding the brightest, most innovative researchers in their fields. We can be sure that we are minimizing our overhead costs and maximizing the amount of every dollar that makes it into the hands of those researchers. We can work together to fund the grants that we believe are most true to the TLC Foundation’s mission of supporting research specifically geared toward the treatment of the deadliest childhood cancers, including brain and spinal cord tumors. Childhood cancer is probably one of the saddest things that exist in this world, but I have so much hope for what is on the horizon. It hurts so much that these potential breakthroughs in immunotherapies, genomics, and targeted delivery of chemotherapy and radiation weren’t available yet to save Ty. Most aren’t available now, and may not be for years and years. And it hurts to think that today alone, there are seven families in the United States who are kissing their children goodbye forever — if only they could have access to these treatments! 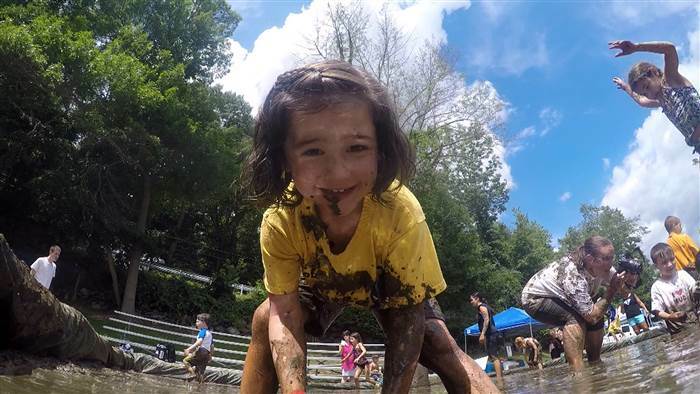 But I do believe that children like Ty, five and 10 years from now, will have a greater chance at survival because of all the tremendous support the TLC Foundation continues to get, and because of the work of foundations like St. Baldrick’s. And those children will have a greater quality of life during treatment, because what these children endure today is simply unacceptable. We have a stronger voice and will make a bigger impact if we openly share information and ideas, if we support one another’s initiatives, and if we combine resources and knowledge to help each other make the very best decisions when investing. I miss you today, Ty, on your birthday. I miss you every day. I wish we could have saved you. I promise not to rest until we save the next Ty Louis Campbell. Cindy you amaze me every day more and more you will be the one to save our children with ty by our side . Happy birthday beautiful ty we all love you very much . Wonderful news, Cindy! Thanks for sharing. Your announcement was very touching and painfully real. There is HOPE on the horizon for better treatments and you ARE and WILL make a difference in the pediatric cancer community. I wish you could have saved Ty, too. We all do. It will never be OK that this happened to you or any other family. Children are our future; why it that not so obvious to the medical field that something needs to be done! 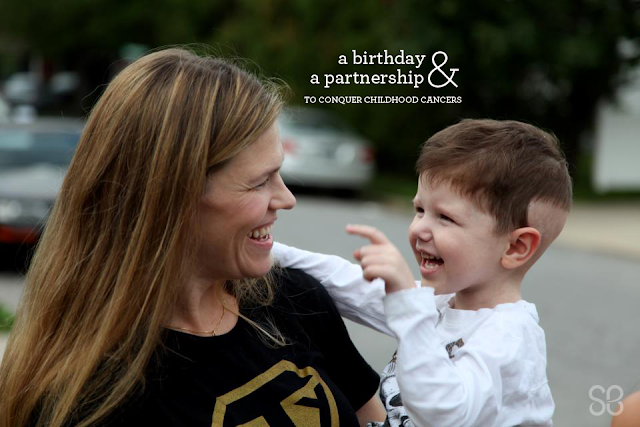 Fighting to end childhood cancer has to be one of the best ways to honor Ty. That you have taken such tragedy and tremendous sadness and made it into such a worthwhile and noble pursuit is a tribute to all of your family. There are obviously many rooting for you and joining in this mission to, as you say, end the "childhood cancer community;" indeed, one day, and hopefully very soon, those words will nevermore be used together. I hope you have only blessings in the days to come. You are one special lady. Somewhere, one day another beaitiful child will be saved, in part due to uour efforts. Cindy I don't know how or when, but I know you will be blessed. Your family is just amazing. So many future kids have so much thanks to you all -- for paving the way to different outcomes. The most unselfish gifts you could ever give. Little Phoebe Fair also died from this same disease last Saturday. She was also 5, and fight bravely till the end. Amazing Work by Amazing People. There are not enough words to thank you for what you are doing for many children in honor of your beautiful son. Think of him every day. To hear that big organization know about Ty and want to partner with you melts my heart. Ty is so very special. Even now it's still feels like he is here, his smile is still contagious and his face feels like a touch away. Baby boy you are on my mind everyday. I am forever changed because of you and I hope to forever stay this way. Miss you and love you. This partnership is great news, Cindy. I have been saving it all up for something like this. I would be honored by the privelege to participate in this opportunity. I believe strongly that a lot of money and awareness can be generated by such an event. If you don't still have my email address, you can message me on Facebook or get my # from my brother/ sister-in-law. I would love to discuss this further. As always, sending my love and support. The Ty Louis Campbell Foundation is 100% dedicated to spreading awareness and funding resesarch for better treatment options to cure pediatric cancer. All donations will be carefully applied to research opportunities that we believe in. No child should ever have cancer. We won't stop until no child has to go through what Ty has been through. On October 4, 2007, Ty Louis Campbell came into this world, and our lives changed forever. We never knew love like that before. Then, on August 11, 2010, our lives changed forever again. A mass was found at the base of his skull and Ty was later diagnosed with an extra renal rhabdoid tumor; a very rare and aggressive cancer. We created this page to keep our friends and family up to date on his progress, and to share our experience with our loved ones. Ty passed away on October 17, 2012, but his legacy lives on. Thank you all for your tremendous support. Childhood Cancer Awareness. What Difference Does it Make? Our baby is finally free. Rest in peace Ty Louis Campbell. I dreamed of you. Finally.